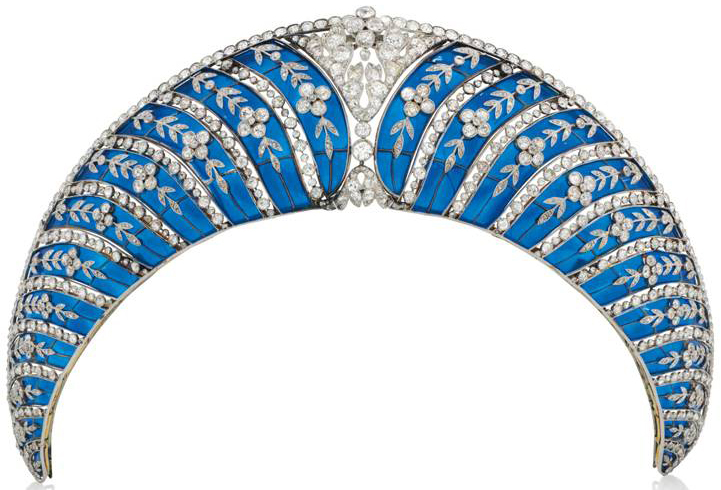 Creation: This tiara was made by Chaumet circa 1910. Materials: blue plique-à-jour enamel and diamonds set in gold and platinum. Who were the owner(s) of the tiara between the the 2nd and 6th Duke of Westminster? 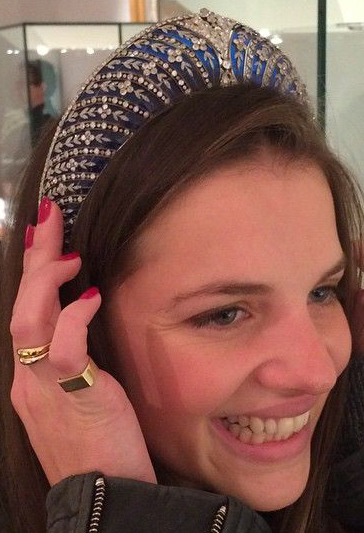 What a truly unique tiara!! Wish it was worn by a current royal so we can enjoy it again and again!! I agree! Alas, the new owner is probably a private person so it won't be worn any time soon. I know who owned the tiara before the 6th Duke. It was Malcolm Forbes, and the tiara was on display for years at the Forbes Galleries on Fifth Avenue. I used to go and "visit" it all the time, as it was down the street from my home. It was sold to him described as Faberge, but then it was discovered to be the Chaumet tiara of the Dukes of Westminster and sold back to them.